Since it was Christmas yesterday, Soularion and I decided to treat a few random people on the 3v3 ladder to a few interesting games. 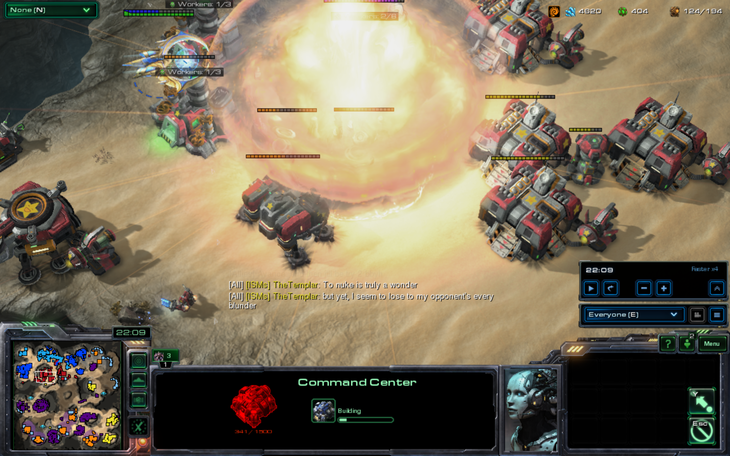 We tried playing a game or two where we both went nukes, a game where we fed our third ally, a game where we went 3 or 4 bases before gate/pool/barracks, the whole works. What was the result? Feeding and nukes, of course. Nukes are cheap, and distracting your opponents with them makes it a bit easier for your third player, who is making a huge army. 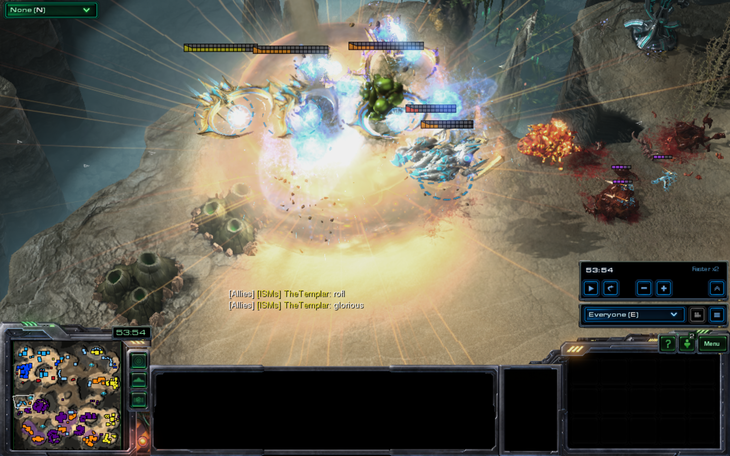 In 3v3s, it is much easier for one player to go nukes and for him and one other player to feed. Most 3v3 maps recently are more macro-oriented, and many of them have bases behind the main to utilize, making early expanding perfectly safe for at least one player. 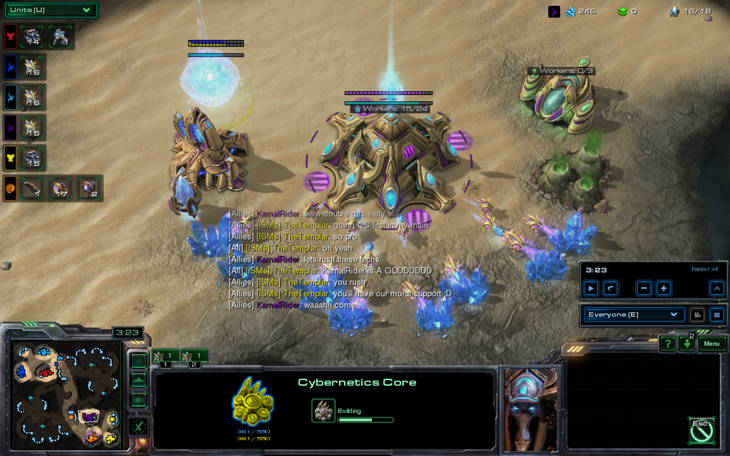 Of course, being Zerg is often the best way to feed as you can easily power 150 drones or more by the 13 minute mark, so Soularion and I divided up our duties. 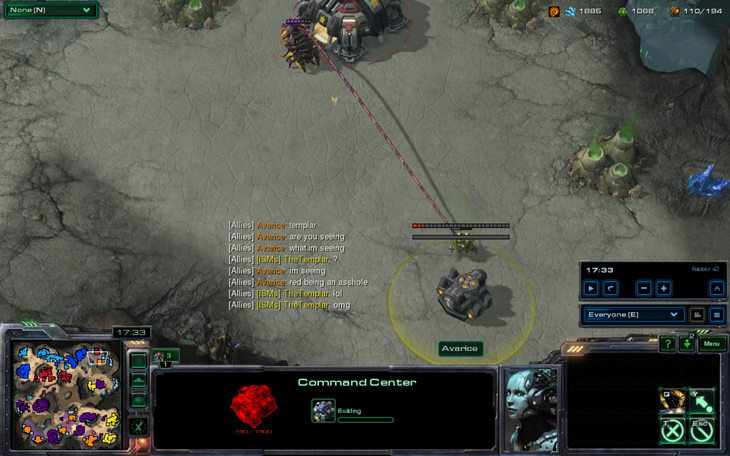 He took the more economical side, while I used nukes and fed off of merely two bases. In fact, this game did go somewhat as expected, but it was not a typical journey. We were pulled into a realm of evil which had not been seen since Sniper retired, and found ourselves in the middle of some of the most chaotic fighting of the century. Soularion, who is Avarice in this game, had a "surprise" waiting for everyone. We didn't know exactly what it was, but it was Christmas so it couldn't be that bad. 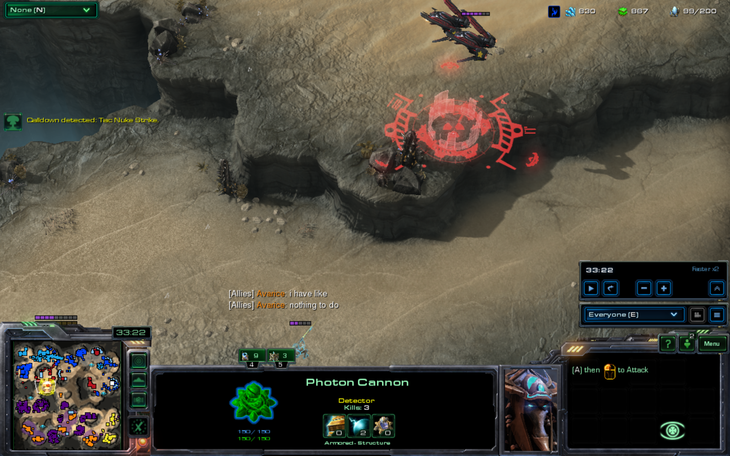 Note how much APM the TL writers have early game compared to everyone else. Spammers. Even though I like gold minerals, they were sort of tainted by religious discussion in this game so I didn't enjoy them as much. I mean come on, it's Christmas. No religious discussion on that day please. KamalRider, who rides Kamals, presumably wanted to Kamal rush our opponents before they teched to a point where Kamals were obsolete. However, since I was feeding him, I did not plan to attack early. Plus, I went CC first to my main base. Suddenly, five minutes into the game, KamalRider had 1k resources banked up already. This was not part of his grand, glorious scheme to rush his opponents on 2 gateways and a forge. Something needed to be done. Suddenly, I rang a call of distress. Indeed, I didn't actually have units and I was being attacked. 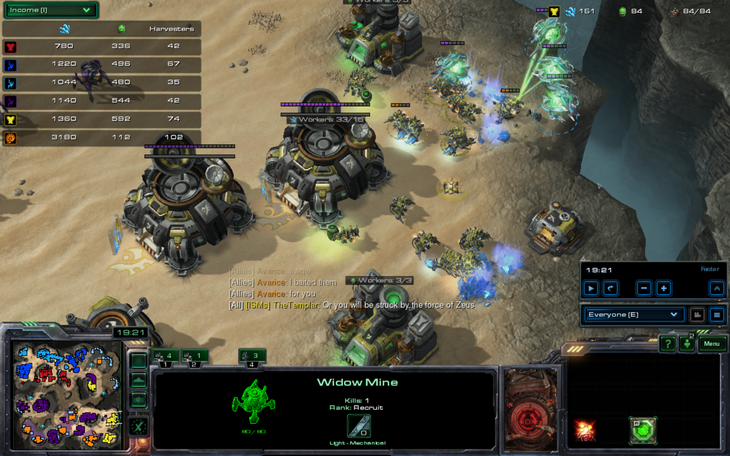 I'm so embarrassed by this that I actually build a few widow mines, despite them being extremely evil. In fact, KamalRider did come to help, which placed him at minimum in 8th place in my teammate power rank. 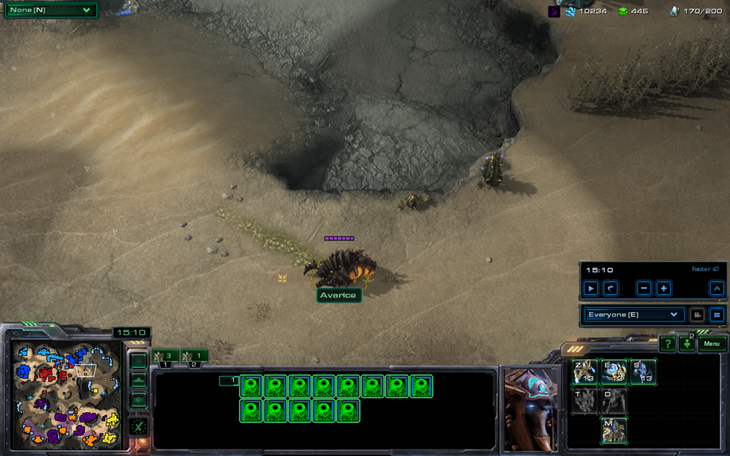 KamalRider supposedly figured out what I was doing for him, so he added on nine more gateways as well as a bunch of pylons. 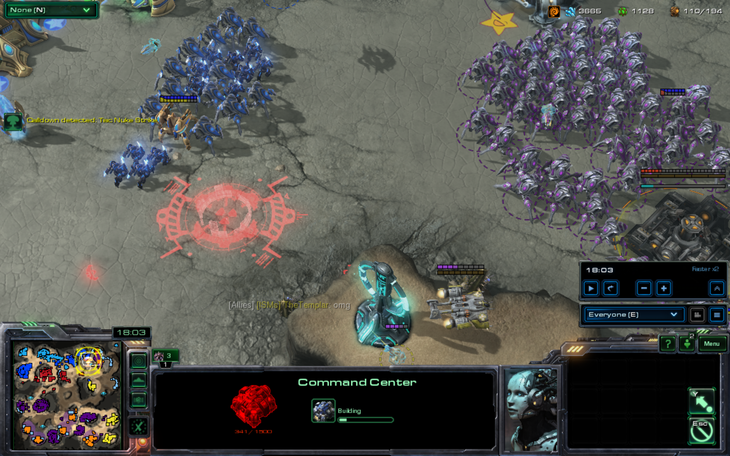 Either that, or he was going for the infamous 69/156 supply, 11gate rush on two bases. In no way is the shape of the gateways/pylons suggestive of anything. Meanwhile, on the other side of the map, teal goes for the totally imbalanced 6 stargate build on two bases, when he's not mining the gas at his expansion. This basically confirms that are opponents are evil and must be cleansed. 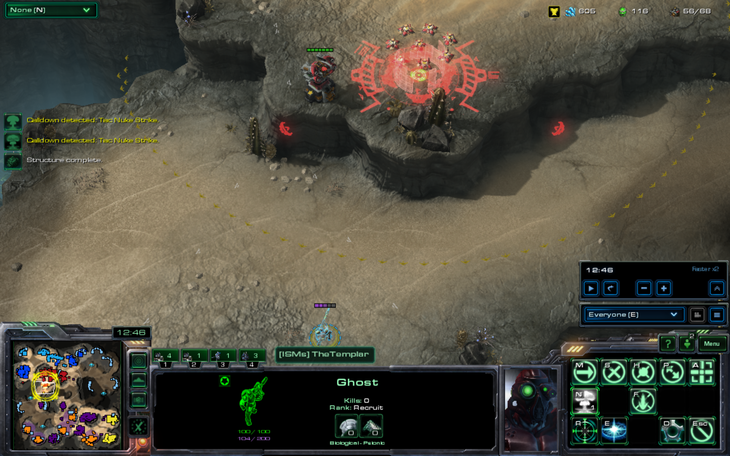 I move out with my ghost, and noticed that somehow red managed to organize 7 widow mines in a perfect heptagon to surround an eighth mine. As this was obviously part of some evil ritual that was intended to summon Latrodectus, the goddess of mines, I had to put an immediate end to it. Unfortunately, he simply unburrowed his mines and moved, ensuring that evil survived to plague the lands another day. Meanwhile, our fed ally somehow had more army than everyone else in the game combined, but was still at 120 supply at 13 minutes, so he decided to attack. However, he basically just killed one base and backed off, which was sort of a waste of units that could probably win the game outright at this point. 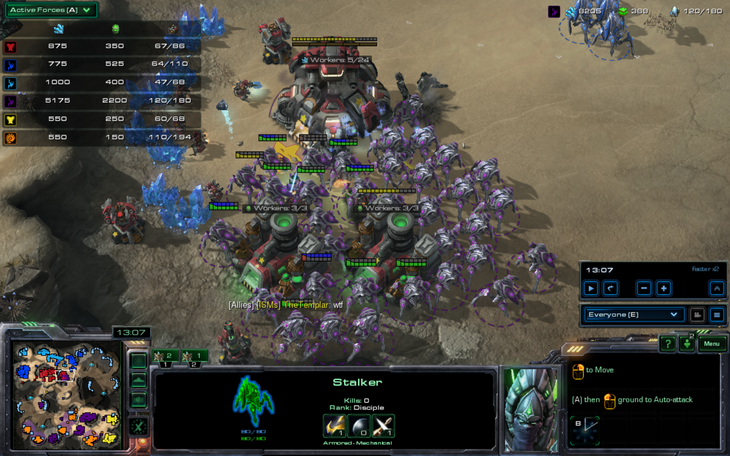 Meanwhile, Soularion has one infestor. 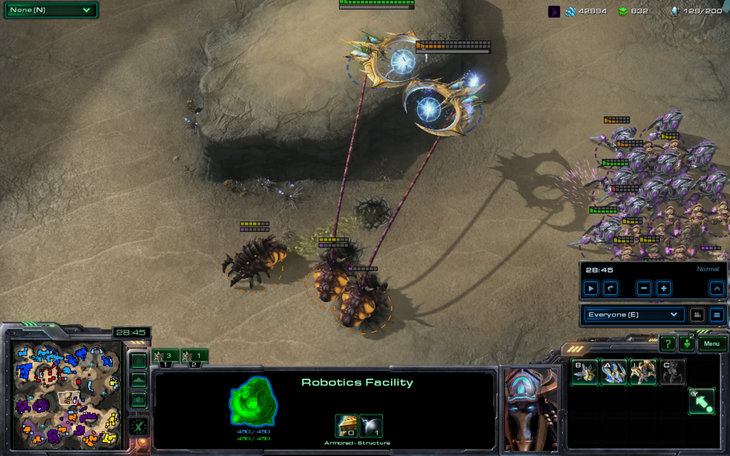 This infestor shall do magical things. Also, we have taken half the map at the 15 minute mark. Considering that KamalRider has 10k minerals and no gas, I'm not sure why he took the gold base. 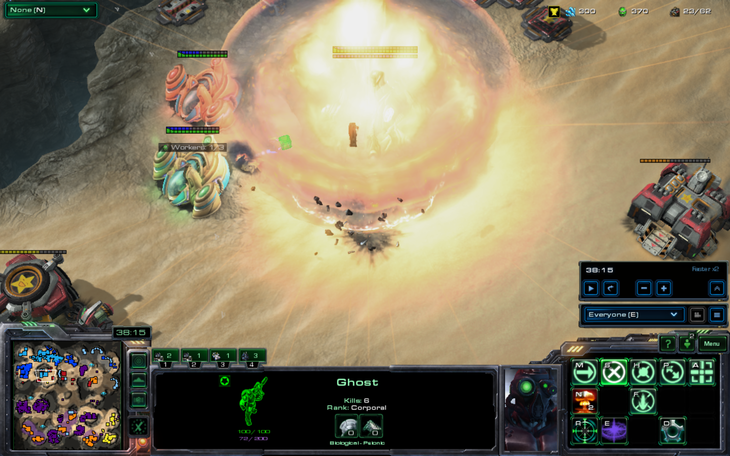 I killed a sensor tower with this nuke so it was totally worth it. 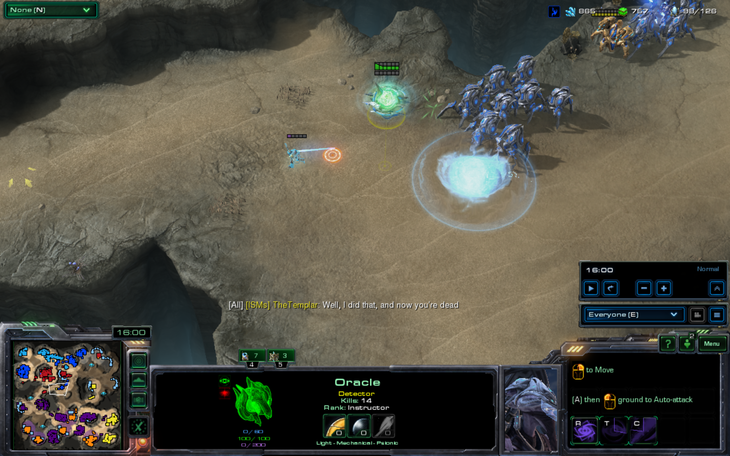 Stalkers and an oracle gave chase, so I had the brilliant idea of EMPing the oracle. Jer99 would be proud. Meanwhile, Soularion's dastardly plan of becoming more like red had been uncovered, as he neuralled an SCV to build a command center. 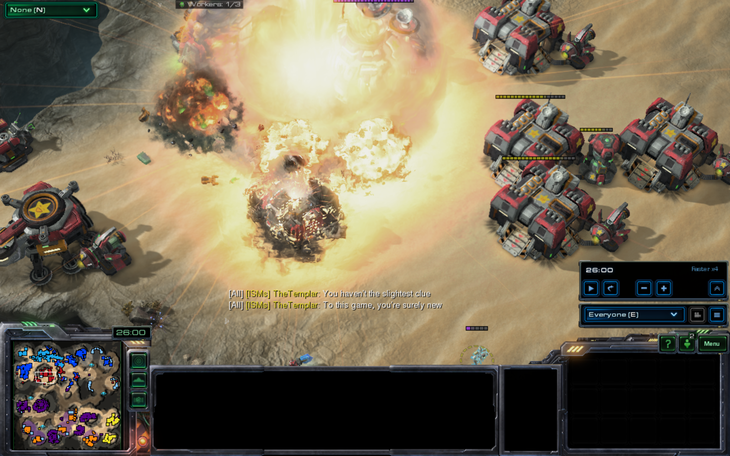 To protect this asset, we brought all of our forces: my nukes and KamalRider's mass blink stalkers. Unfortunately, this nuke hit very little. 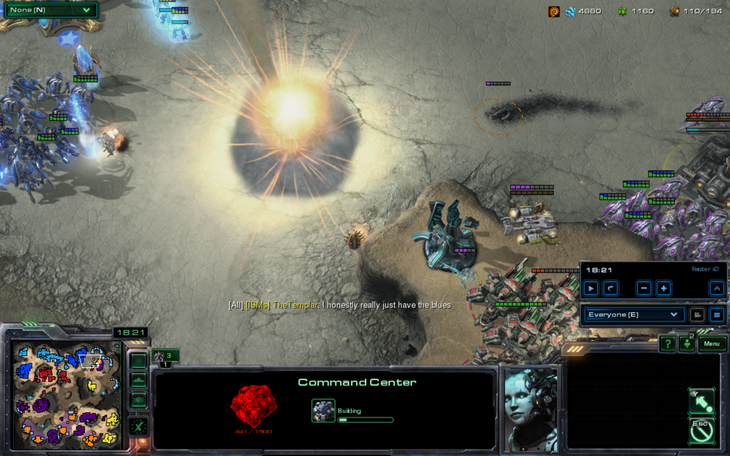 Some poor, frail zealot in blue's army saw the nuke a bit close-up and fainted. ...Ok, admittedly this nuke was a little bold. 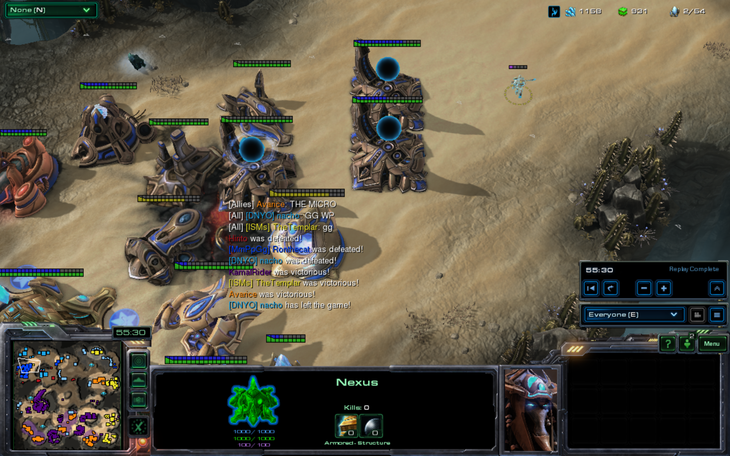 Suddenly, four oracles showed up in my mineral line and I only had one widow mine. 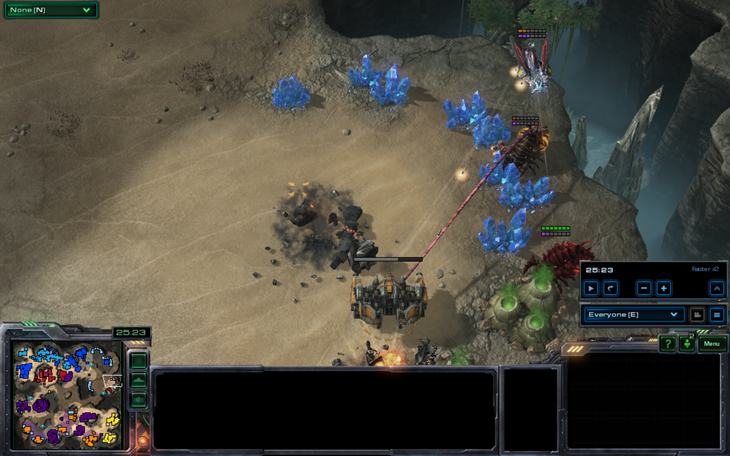 Clearly, widow mine splash damage against protoss needed to be buffed so that I could deal with this. Meanwhile, KamelRider used his Kamel to kill a huge cloaked army with no observers or even anything beyond gateway tech. Clearly, his Kamel could not detect invisible units, as he stumbled over things that did not seem to be there, giant invisible mech units, and huge orbs of energy that he simply could not see. Maybe his Kamel was actually a blinding cloud. Meanwhile, I attempt to punish red for his worshipping of the goddess of mines, Latrodectus. He had prayed from the Great Book, which taught evil, pagan mine-related sins such as drops, tunneling claws, and hiding behind buildings. These actions could not be accepted in this day and age of modern science. I went for the most extreme and technological punishment possible in order to teach red a lesson. I chant one of the Great Limericks of Science in order to bring red to his senses, while Soularion continues to attempt to harvest some of his essence for consumption and DNA testing. However, the CC was found and killed, so Soularion had to relocate about 5 meters south. 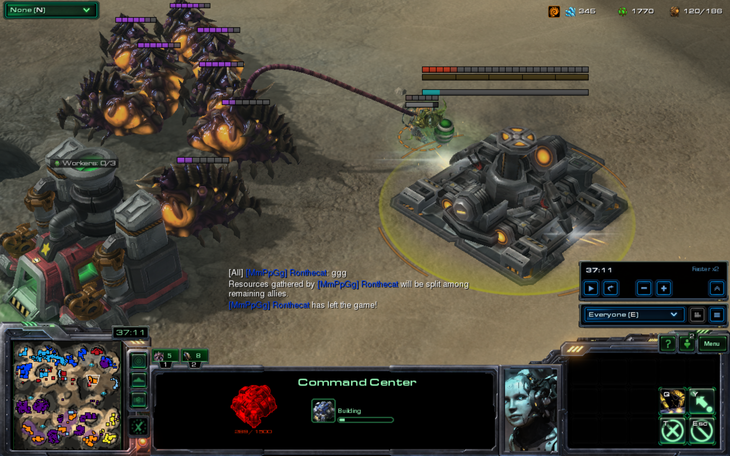 ...Where red's evil crusader army of Latrodectus minions prevented the Zerg from understanding Terran technology. Pinned to a corner, there was only one thing that Soularion could do. 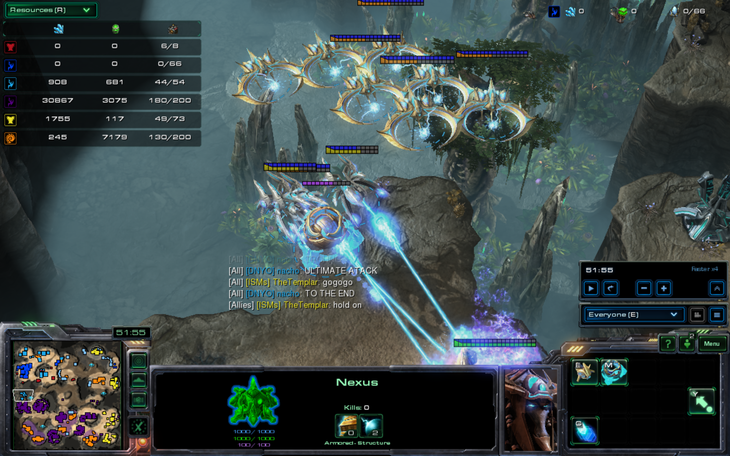 He neural parasited the thors and killed the raven with them before burrowing. Unfortunately, the raven cast a seeker missile on the full health infestor and the neuralled thor killed the damaged one upon being set free. The anger that resulted from this incident was not shown here, but it made Soularion transform into the Queen of Blades. Seeing how he is male, I don't want to think about how this is possible. Although I continued to batter red and his evil ways into submission, in order to convert him to the ways of nuclear science, there was still a problem. Blue and teal had both massed a huge air-based army and purple had to deal with them both. To do this, he required high templars and stalkers. 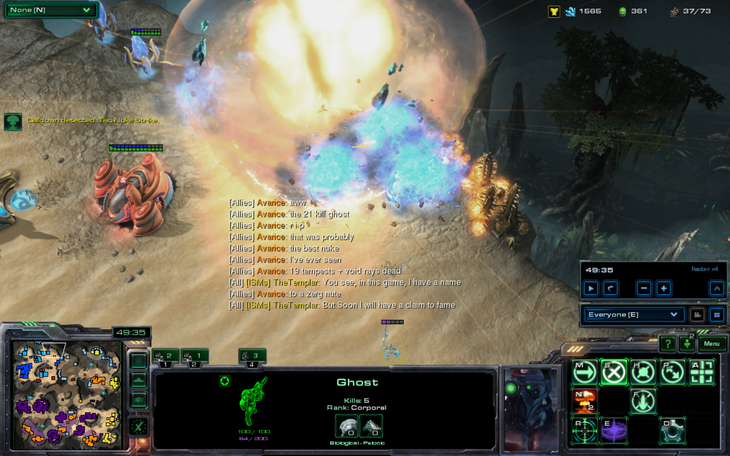 I engage trash talk mode while nuking my opponents. Clearly, red did not have a clue when it came to science. 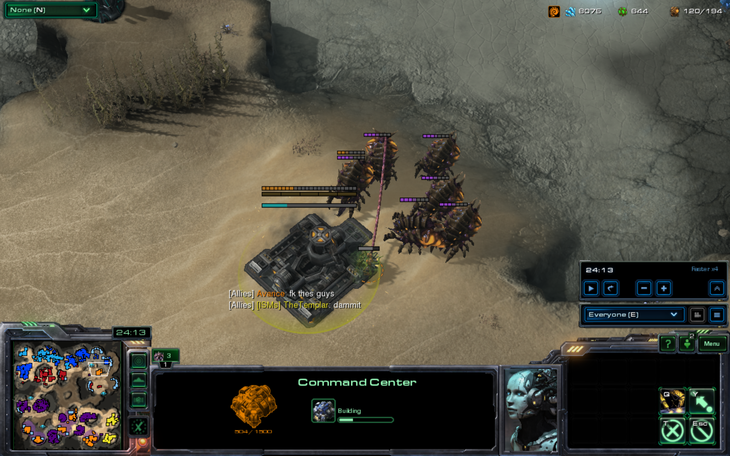 I decided to transfer my SCVs to the closest base, as I was mined out. 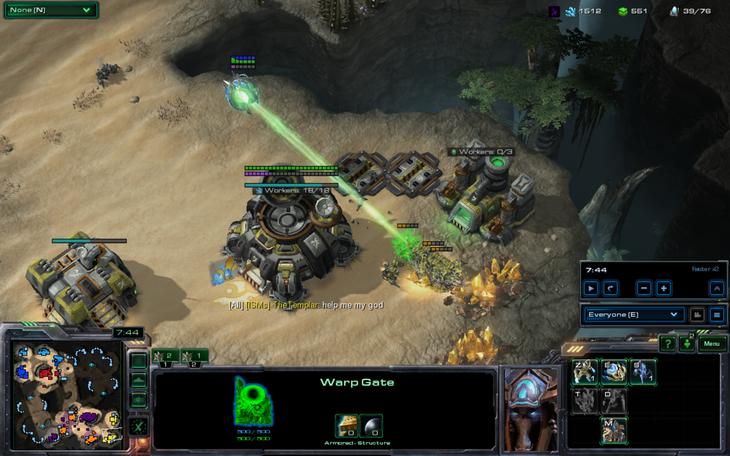 However, it turned out that the "closest base" was actually halfway across the map. Although KamelRider was a valiant warrior, he too fell to the evil forces of Latrodectus's minions. 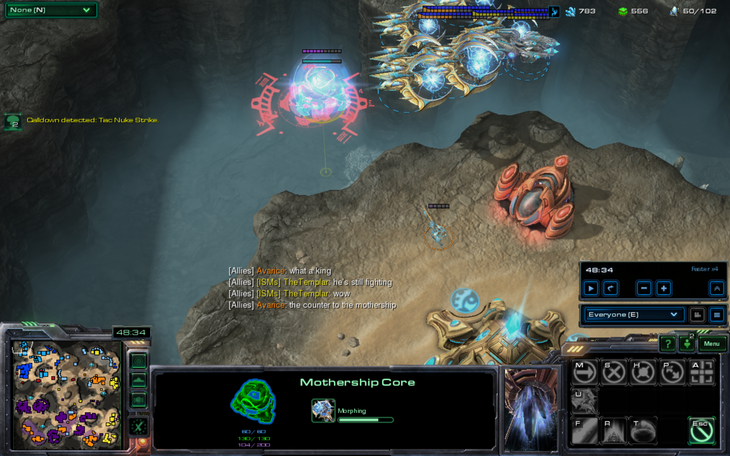 Kerrigan/Soularion caught two of the tempests with his infestors and made them attack each other. 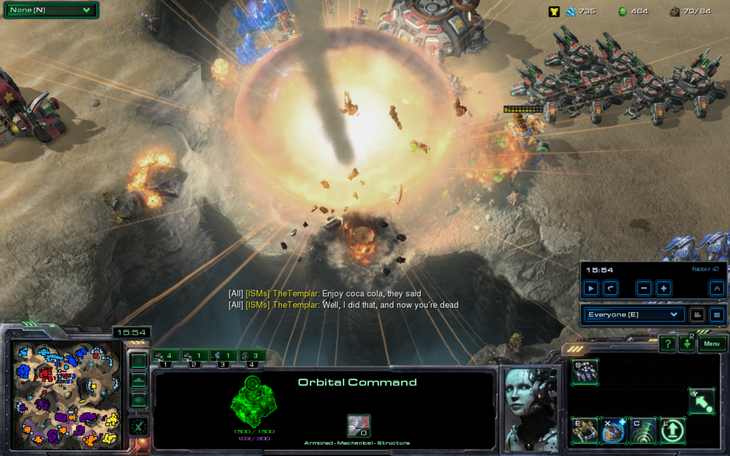 Meanwhile, I actually do something useful and non-religious for once and nuke a worker line. 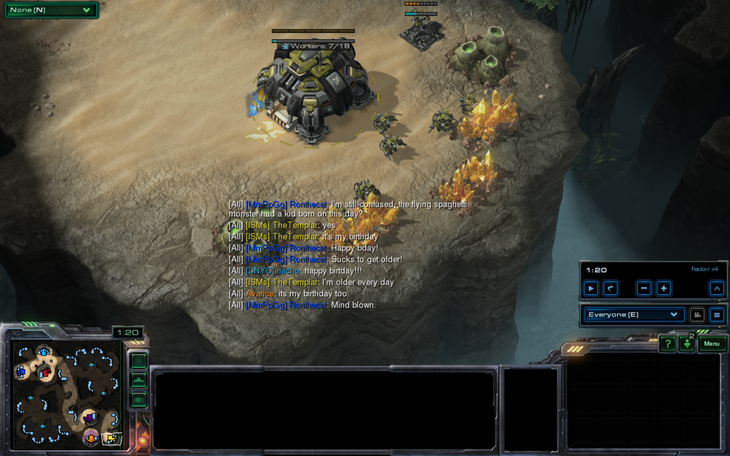 I proclaim my nuking superiority in all-chat as well as my amazing rhyming skills. 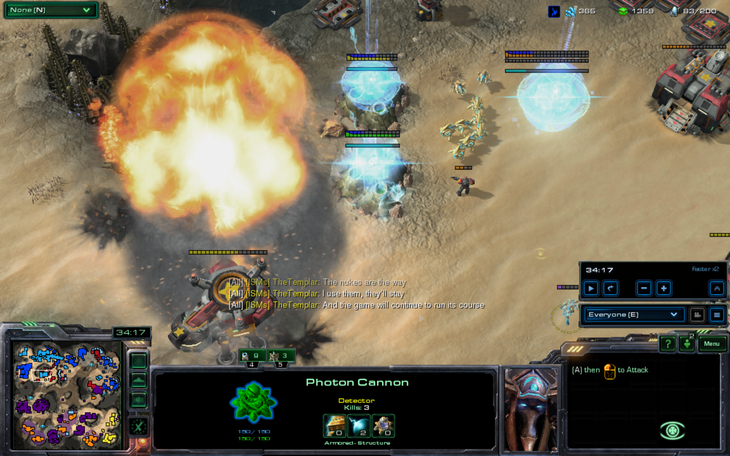 I'm so involved in this, I don't even notice that I'm being cannon rushed at my third base. Meanwhile, KamelRider fights evil, and void rays. It would be nice if he bothered to get detection at any point in the game, though. 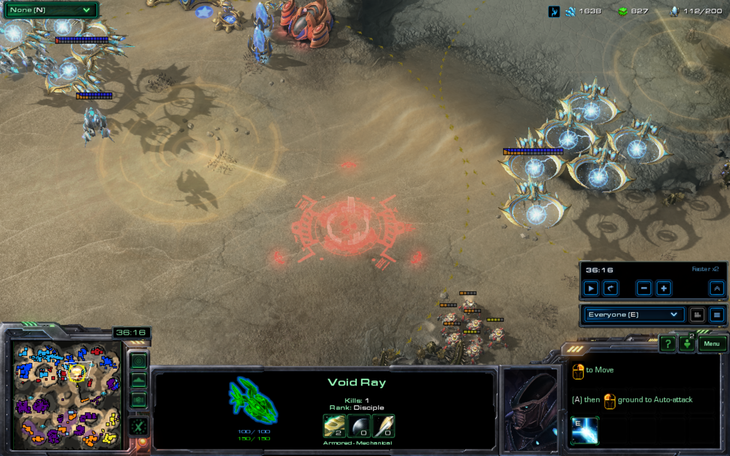 Widow mines are so evil that they damaged the void rays. Ravens were part of the evil ways of red. I had to destroy them. Once I did that, I figured out that teal and red were in cahoots. Indeed, Latrodectus's minion was selling his territory marked with dark rituals and evil magic to the master of the skies. Surely, this was a tainted deal. Those who made void rays and tempests only were of a completely different form of evil than this. Evil can not work with evil. Using my skills as a tactician, I nuked in the middle of three armies, thinking that surely one of them would accidentally move in that direction. Unfortunately, it was not to be as the nuke was seen. 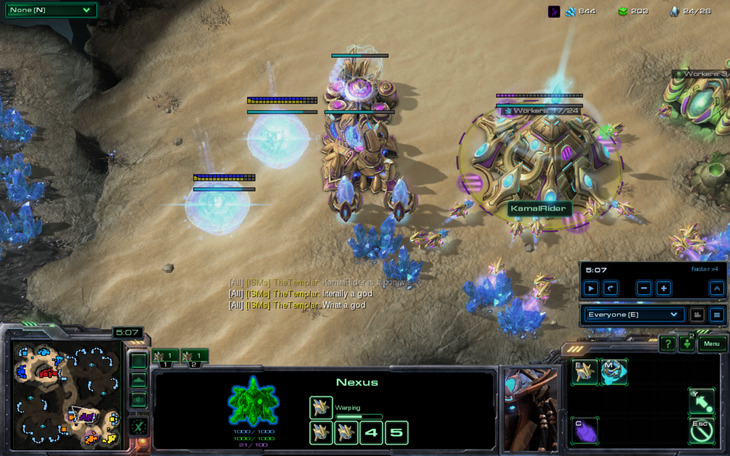 This gives Kerrigan/Soularion the time to acquire Terran essence. However, the opponents seemed to want to leave, except for one. This is where I reveal that teal is actually the peoples' hero. Indeed, he is none other than nacho. Nacho did not leave. He was his own hero, his savior. He would win with the mass air army at any cost. He saw my rhymes, nacho did, and refused to back down like some kid. HE was not one to leave like his allies. He would win no matter what. 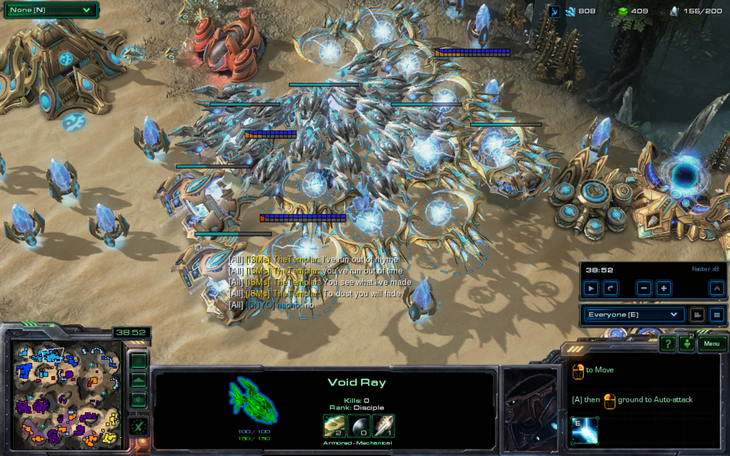 Then, suddenly, Kerrigan/Soularion was victorious. 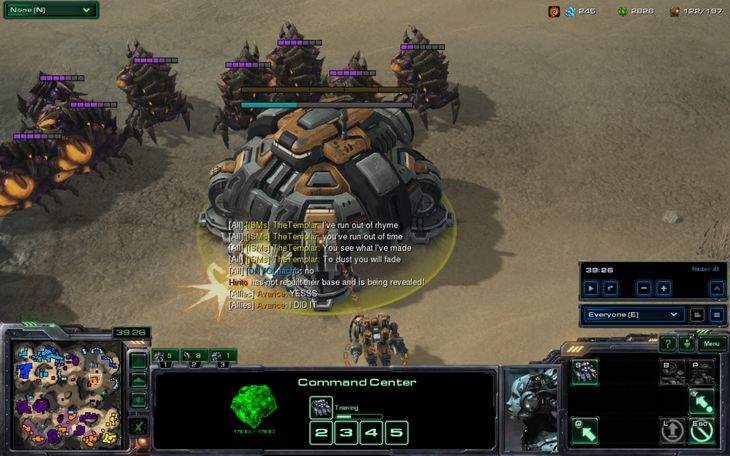 I keep nacho, the last player, pinned in his base with nukes and fine words. His response was elegant. Suddenly, Kerrigan/Soularion's eventual goal had been realized. All along, he had intended to utilize the Terrans and their evil goddess to his own advantage. By starting with 6 bases under the guise of feeding his ally, he had the resources to do intensive research into the ways of Terran brain science and psychology. This information was transmitted to his numerous infestors, which alone had the ability to utilize the necessary tools to mind control the test subjects the Zerg had experimented on. Due to Duran's experiments with the Zerg and Protoss, Kerrigan/Soularion decided he needed to take a similar route, aiming for a Zerg/Terran hybrid, which went beyond the infestation Kerrigan had undergone. However, Latrodectus had tainted her mechanical minions to the point that their computerized brains could be twisted no further, and could not be turned to the Zerg. 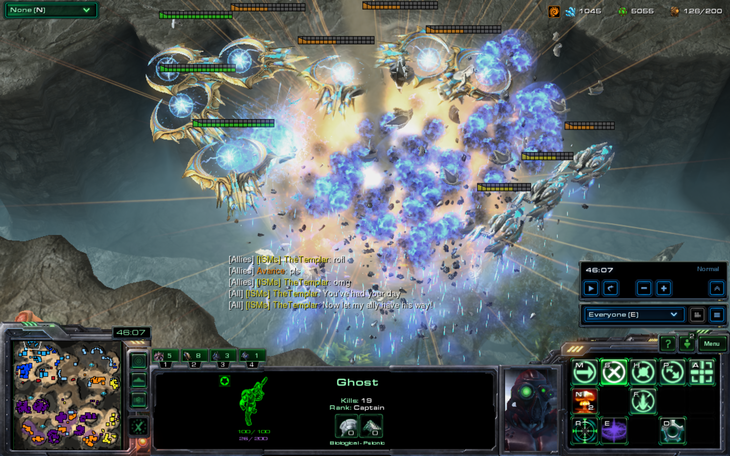 Thus, Terran ghosts were required to experiment with tactical and experimental weapons of demolition using their psionic capabilities, in order to strengthen their destructive capacity. 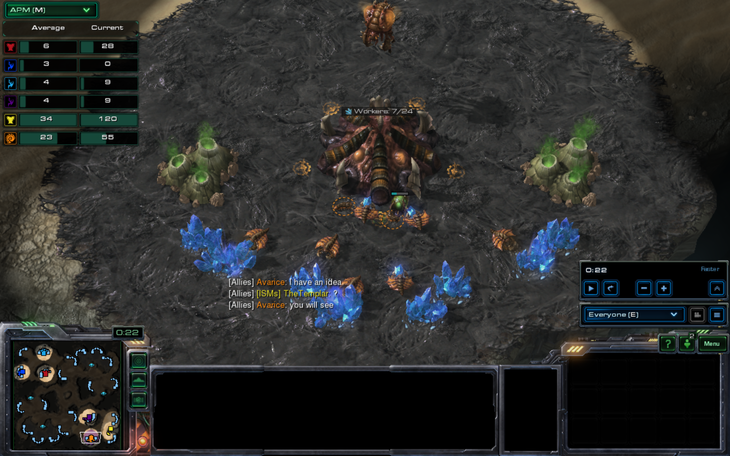 In other words, Zerg went nukes. Yes, that is an orange ghost. A Christmas miracle, you might say. The peoples' hero, Nacho, accused us of trolling despite our scientific and intelligent minds. 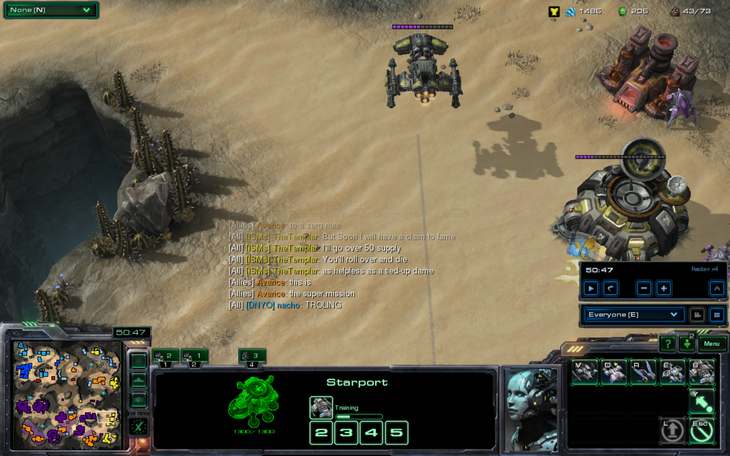 Meanwhile, I decide to tech to battlecruisers on 40 supply, because I gave all my money to KamalRider. Nacho went for his ultimate attack with 1/3 of the army he had before it got completely nuked. Although KamelRider was itching to crush nacho's army, Kerrigan/Soularion instructed him to wait. 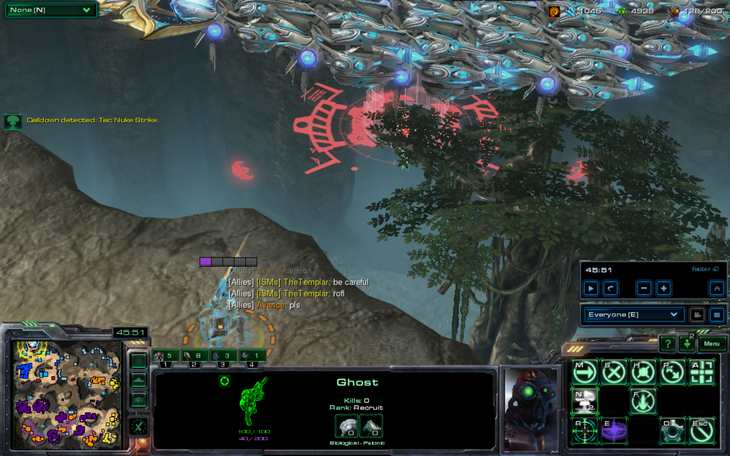 He had another plan, and as the commander of the Zerg and the Terran, he was able to achieve one of the strangest things I've seen. That's right. 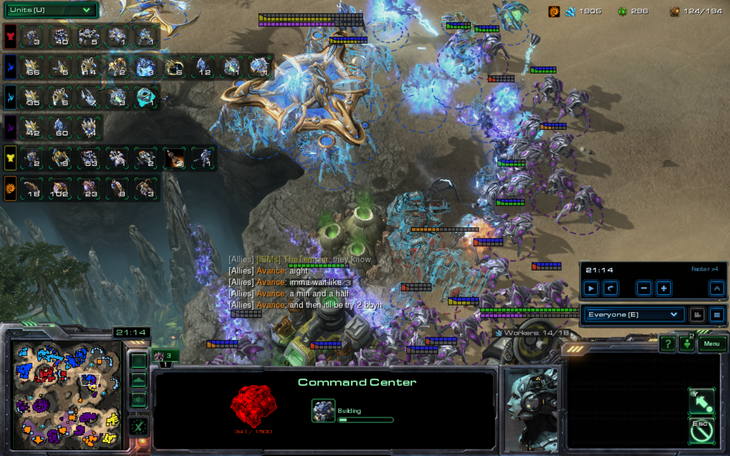 A chain fungal nuke. 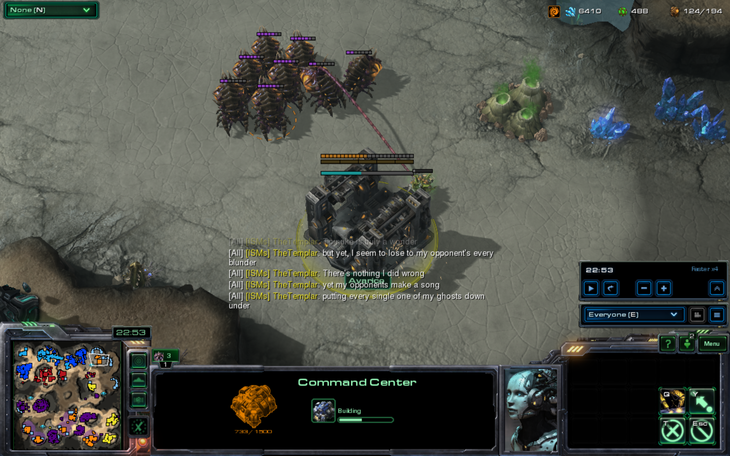 As you can see, this tactic was extremely successful, although it came at the cost of all of his infestors. And nacho promptly conceded defeat like a true gentleman. I don't think tasetosis could have made that game sound any better!